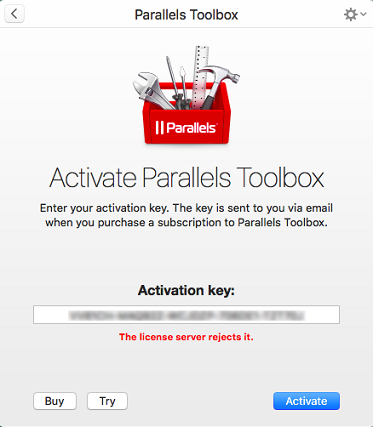 Parallels Toolbox cannot be activated: The license server rejects it. On the activation screen click on the back button in the left upper corner. Log in to your Parallels account once more. Enter the license key and click Activate.